It's Spring Riding Season!!! Lots going on! We love this time of year! 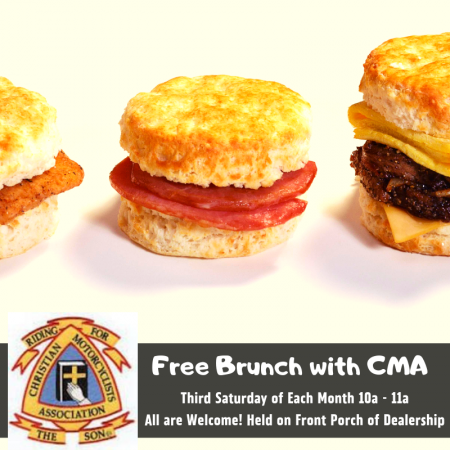 Bring the group and enjoy FREE Brunch with C.M.A. 10a - 11a on the Front Porch.